After running with a £5.8 million loss at the end of 2018/19 fiscal year, and bleak forecasts for the following year, it was obvious that a restructuring of MMD Shipping Services was due. This council-run company was deemed worthy of a financial injection to stimulate its sustainability and initiate a rebrand and diversification of the business. 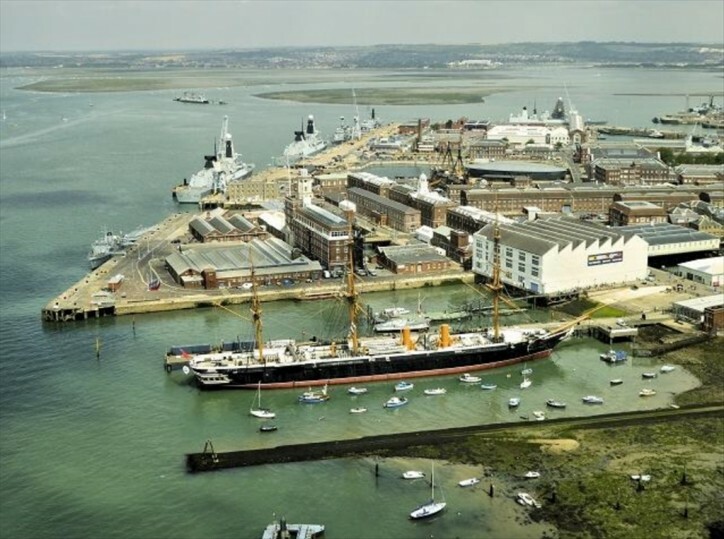 Such a decision was supported by a, quite literally, very solid foundation on which Portsmouth International Port is built. Thanks to its excellent accessibility by water, road and rail alike, the potential gain to be had from a rebrand is very real. They boast the easiest access to France, Spain and the Channel Islands, and this is not just by ferry, mind you. With their perfectly connected railroad, getting to Folkestone and consecutively Calais by Eurotunnel is still the fastest way to get to France. If you’re one of the people wondering: ‘Is the Eurotunnel safe?’ - read the provided information that covers every possible situation. The initial investment of £15 million is just the first step on a 20-year long journey that is bound to rework MMD Shipping Services Ltd. from the ground up while still keeping to some core tenets. They will proceed to conduct business under a new name - Portico, a move that will help establish a brand identity to match their leadership in the shipping and cargo handling market. The total value of rebrand is estimated to be £50 million, and some of that money will have to come from sources other than the council. They hope that a portion of the remaining £35 million will come from Portico’s newly found fortune as it grows into a more self-sustaining entity. Besides renaming the company, one of the steps they’ll take in order to increase efficiency and become better recognized is to move headquarters to a new area. This will improve the way in which customers and employees alike communicate with the company. Clearing the quay and making room for additional cargo will attract more ships into their port increasing the rate at which they conduct their business. But most importantly, Portico will work on its brand recognition in the digital sphere, substantially improving their IT range of services. This is a high-priority change that is most likely to happen first. Diversification has already begun to take place, having signed a contract with MHI Vestas that allows Portico to handle offshore wind turbines. Another important contract has been signed with Ferryspeed’s Channel Island service and Seatrade, continuing the operation of maintaining a constant influx of fresh fruit to the island. It seems that the future of the former MMD Shipping is indeed bright. It remains to be seen how diversification is going to treat this Portsmouth company, but one thing is certain - modernisation of its infrastructure is truly a step in the right direction, the one that is necessary in order to start operating on a whole new level.